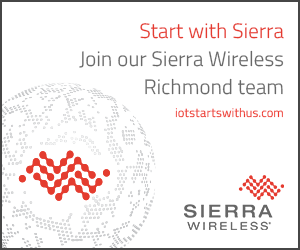 Richmond, BC, March 6, 2018--(T-Net)--Sierra Wireless (NASDAQ: SWIR) (TSX: SW), a leading provider of fully integrated end-to-end solutions for Internet of Things (IoT) applications, today announced that Intellinium has selected Sierra Wireless' device-to-cloud IoT solution for its smart safety shoe, designed to improve worker safety in remote, dangerous or noisy workplaces, such as construction sites, factories, mines, oil platforms, and commercial fishing and agriculture operations. According to United Nations reports, a worker dies from a work-related accident or disease every 15 seconds. Many more face long-term effects from accidents that impact their health, productivity and ability to provide for their families. Intellinium, a start-up based in France, was founded to improve worker safety by blending IoT technology with traditional personal protective equipment. Intellinium's smart shoes allow workers to send and receive messages handsfree, without the need for a separate smartphone. Alerts can be sent using Intellinium's patented force sensor membrane built into the toe of the boot and connected to Sierra Wireless' AirPrime® HL series cellular module. During an emergency, a worker can acknowledge receiving a message to evacuate by touching a toe to the sensor. Or he can quickly send a "mayday" alert if he's injured. Built-in sensors detect falls or shocks, immediately notifying the employer or a colleague of the worker's location to enable faster, more accurate response. "Traditional personal protective equipment is passive—it can't connect autonomously to remote places without a smartphone or react quickly enough during an emergency," said Mathieu Destrian, CEO, Intellinium. "By leveraging Sierra Wireless IoT technologies, we were able to transform a simple work shoe into a smart device that can speed up response time to occupational accidents and is quickly gaining traction with international industrial companies." Intellinium chose Sierra Wireless' device-to-cloud solution, comprised of HL Series embedded modules tightly integrated with smart connectivity services, to provide multi-operator, mission-critical coverage, data collection and delivery and device management, allowing companies to securely and reliably connect with their workers using Intellinium's web dashboard, cloud-based REST API or mobile app. "The Internet of Things is creating opportunities to innovate across all facets of life," said Marc Overton, senior vice president and general manager, IoT Services, Sierra Wireless. "With Sierra Wireless' device-to-cloud solution, Intellinium was able to create a responsive, reliable and easy-to-use wearable that has the potential to improve conditions in the world's harshest workplaces." Every 15 seconds, a worker dies from a work-related accident or disease. Work-related accidents and injuries cost EU €476 billion a year. Intellinium proposes the first smart and connected safety shoes that can save your workers' life and reduce your costs. Since its inception in 2009, Intellinium has been developing technologies and smart PPE know-how with and for industrial companies and workers. Located in Aix-en-Provence (France), the company is currently in field trials with several industrial and utilities companies. Our revolutionary safety-as-a-service solution brings more safety, more telecom penetration and coverage, more battery autonomy, more intelligence, less weight and equipment, better usability compared to traditional worker electronic equipment, and goes even further by replacing most of them (for instance, man-down or alert button). While saving cost and bringing more performance to protect your worker, you also reduce your environmental footprint by reducing electronic waste. For more information, visit: https://intellinium.io/. 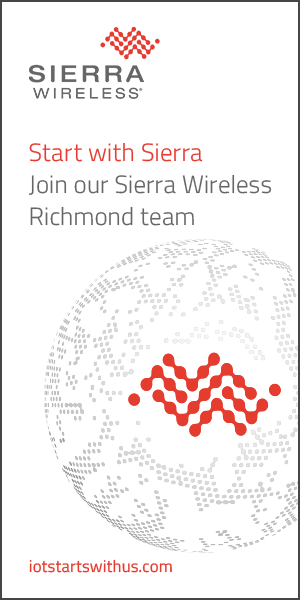 "Sierra Wireless" and "AirPrime" are registered trademarks of Sierra Wireless. Other product or service names mentioned herein may be the trademarks of their respective owners.